When you say “BitTorrent” you speak piracy to the majority of people. They will look down at you and start wondering whether you’ve gone plain crazy or just need a reminder from the authorities. However, indipendent rapper Kellee Maize didn’t think so when, in 2011, she released her new album “Integration” under Creative Commons license and distributed it as a .torrent download, reaching over 100,000 downloads in about two weeks. What this artist sought in P2P technologies has found it: she built a solid fanbase, got the word spread out on the Web, and earned their slice of the music market. Is there still a reason to look down at P2P and its users as illegal and illegitimate? The examples I cited clearly provide a negative answer to the above question, and I believe P2P marketing will help make the difference on how file sharing technologies are perceived by the masses. To give you a more insightful opinion that involves ‘the other side’ of the story (file sharing technologies), I interviewed Nina Evseenko, founder of the BTDigg.org project and a firm supporter of the ethical use of P2P technologies. Nina’s BitTorrent search engine appears to be different from other P2P networks. In fact, BTDigg — acronym for BitTorrent Digger — pretty much relies on its nodes (users) to work, rather than on web resources, and participates in the DHT (Kademlia) network. DHT is acronym for “distributed hash table”, a node search protocol for locating peers that hold torrent information (as key/value pairs), a protocol that BTDigg follows completely in its specifications. 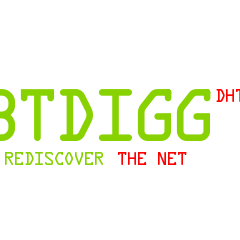 BTDigg constantly monitors the DHT network in search for new, active torrents. – frontend: the BTDigg search engine and its database. Nodes are handled by the backend, while the frontend stores only names and info hash (a number). BTDigg heavily relies on the DHT network and makes it more stable compared to other torrent search engines. Plus, it’s completely legal, because it does not store data on its servers. “It’s worth mentioning,” adds Nina, “our recently released feature that is accumulated and averaged votes with sorting filters over them. Votes are distributed and are spreaded as UDP packets in the DHT network by uTorrent client since version 3.” This feature makes it possible for users to filter out content with a too low vote ratio. That’s exactly what Kellee Maze did last year. And it’s what Pioneer One TV series did too, making its step into BitTorrent marketing with the distribution of its episodes. It was a success! If you think about Social Networks, YouTube and DailyMotion, you would see what similar advantages the two technologies share — a free tool for Internet users to take advantage of quality content free of charge. What’s better about distributing a video lecture on YouTube rather than via BitTorrent? Perhaps the former has a broader audience for you to count on, but the downside is that your channel will take time to get known, and your views will grow slowly. P2P content — via BitTorrent, eDonkey servers or even public FTP servers — is made immediately available to all users on the network. Nina Evseenko’s BTDigg, in particular, gives web marketers a chance to increase their visibility over the network, thanks to the decentralization of resources: users are able to search within the entire torrent pool, not just among a few trackers. When I asked Nina how she thinks that BTDigg is going to influence the perception people have of P2P networks, she answered that the “common perception is changed of itself. The reason why do we think so is based on permanently growing number of projects which spread their data over BitTorrent because it is the most effective way to distribute huge data. And creation of BTDigg is contribution and yet another proof of changing the public perception.” This is positive. 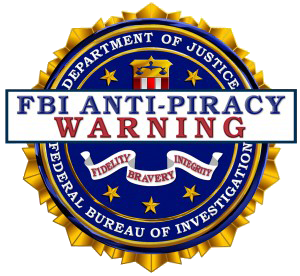 The piracy label that has contributed to kill many efficient P2P networks (i.e. Kazaa, WinMX) is no longer as influencing for legit content producers as it used to be until three years ago. Legal content all has what it takes to be freely distributed and downloaded. That means that it’s up the node/user’s complete responsibility to ensure their data are safe and legal. It’s advisable to distribute a license disclaimer — as a README.txt Legalese.txt document — with the content to stay on the safe side. If you are redestributing content that’s not yours, make sure you are allowed to do so. … no matter the misuses, file sharing doesn’t equal piracy— rather it equals a good marketer’s eye and a good amount of solidarity. Let’s not waste the opportunity. Why Is Local Search More Important Than Ever?